PureSoftware, a global software products and services company today announced Richard House has been named Advisor to the company. In this role, Richard will help PureSoftware strengthen its capabilities in the hi-tech industry and offer strategic advisory to clients that includes top networking, telecom, software, semiconductor, Internet and industrial companies. "Richard is an accomplished professional with an extensive career in technology and engineering development," said Anil Baid, Founder and Chief Strategy Officer. "He is a leader and brings wealth of experience with complex engineering, embedded hardware and software, transformational architectures, networking software stacks and reference hardware systems that will add immediate value to PureSoftware. The depth and breadth of his skill sets and accomplishments, coupled with proven technology and engineering development background, will help our clients navigate their most complex challenges." "I am excited to join PureSoftware and leverage their wealth of technical capabilities to drive business value and ensure success on complex technology strategy and engagements," said Richard House. "PureSoftware is well positioned with a unique combination of modern and relevant assets ranging from development and test expertise in Embedded, Linux, and Networking all the way to fully developed Enterprise cloud platforms. Capability alone doesn't make a great partner, and that is where PureSoftware really differentiates through a strong culture of proactive engagement, responsiveness, and ownership." 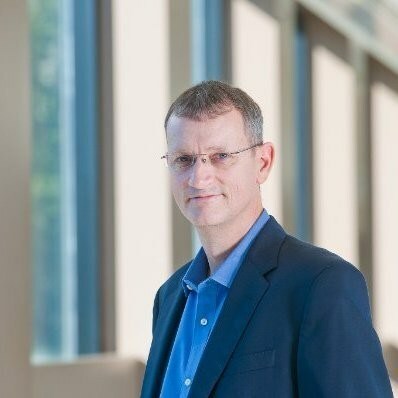 Most recently, Richard served as Vice President of Global Software and Systems Development at NXP Semiconductor's Digital Networking Group where he is focused on transforming traditional semiconductor software development by focusing on Customer vertical market solutions and implementing widespread modern agile development processes. Previously, Richard was Senior Director of Cisco's fast-growing 'Internet of Things' Group, helping industries achieve dramatic productivity improvements and drive new business models. His group produced embedded hardware and software for sensor networks, ruggedized Ethernet switches and access points, and ruggedized routers for mobile applications. PureSoftware is a software product and services company that focuses on driving a differentiated customer experience, accelerating cycle time and improving business outcomes through an integration of digital solutions, robotic process automation, artificial intelligence, machine learning and IoT. Our solutions leverage next generation disruptive technologies to deliver competitive advantage to your business. Our flagship product 'Arttha' - one of the fastest growing financial technology platform - focuses around Digital Banking, Digital Wallets & Core Banking solutions.